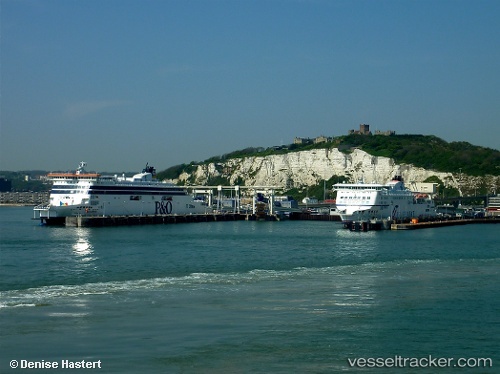 Feb 9 (Reuters) – The British government has terminated a contract with Seaborne Freight to provide extra ferries in the event of a no-deal Brexit that would see Britain leave the European Union on March 29 without a transition period to minimise economic disruption. The government’s decision to award the 14 million pound ($18.1 million) contract in December even though Seaborne Freight did not have any ships had been heavily criticised by opposition politicians and others. A Department for Transport spokeswoman said on Saturday the contract was terminated after Seaborne Freight’s backer, Irish firm Arklow Shipping, decided to step back from the deal. Saga Cruises’ first newbuild boutique cruise ship is to be christened during a ceremony at the Port of Dover, UK on 5 July 2019. Spirit of Discovery will be the first vessel to be named at Dover in more than a decade, which will also make her the first to be christened at Dover Western Docks following a £250 million (US$330 million) redevelopment. “As the place that Saga’s first cruise ship set sail from more than 20 years ago, Dover was ‘the natural choice,” said Nigel Blanks, Saga’s COO.